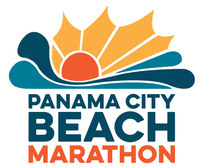 The Panama City Beach Chamber of Commerce is proud to host its 3rd Annual Panama City Beach Marathon. Set for Saturday, December 2, 2017, the 26.2 mile race has been certified as a qualifier for the coveted Boston Marathon. The race is a staple for the community and attracts thousands of both residents and visitors to Panama City Beach. 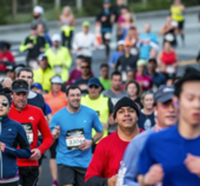 The Panama City Beach Marathon also incorporates a 13.1 mile Half-Marathon, 5K, and Kids Fun Run, allowing fanatics of all levels to test their limits while running alongside the World's Most Beautiful Beaches. The race begins and ends in Pier Park, with an after party at Jimmy Buffett's Margaritaville. All runners of the Marathon, Half Marathon, and 5K will receive a long sleeve shirt, and all finishers will receive a medal. Live tracking available! Register today to run through paradise! Margaritaville Main Deck located at Pier Park. 16230 Front Beach Road, Panama City Beach, FL 32413 / 850-235-7870. Awards will start at the Jimmy Buffett’s Margaritaville Main Stage at 10:30 AM. Full Marathon is a certified course and Boston Marathon Qualifier. All Full, Half Marathon and 5K Finishers will receive a medal at the finish line. Awards will be given for 1st, 2nd, and 3rd in each division. Full Marathon, Half Marathon, and 5K Overall Finishing awards will be given as well. Marathon - Water and/or Gatorade will be on course at mile markers. Energy gel will be available. Half Marathon - Water and/or Gatorade will be on course at mile markers. Energy gel will be available. Portalets: Marathon will have portalets approximately every 6 miles on course at turn point. Half Marathon will have a portalet at the turn-around. Jimmy Buffett’s Margaritaville will supply complimentary gumbo and Land Shark beer. Beer & gumbo for runners ONLY at finish of race. Must show bib number to enter designated area. Beer provided to runners 21 years of age or older, of course! Online Registration will close November 30, 2017 at 11:00 PM. You may still register in person at the Panama City Beach Chamber of Commerce through Thursday, November 30. You may also register on Friday, December 1 (Packet Pick Up Day) at Dave & Busters if space permits. Once again, congratulations on participating in the Panama City Beach Marathon, Half Marathon & 5K race! If you have any questions, please do not hesitate to ask.